Do love playing Holi but the thought of all the harmful colour on your hair bother you? Who wants their hair to be damaged? Even though when it comes to the joyous occasion like Holi, no one would want to compromise on their hair health. The festival of colour has arrived, and we would like to celebrate the occasion with proper precautions. Keep these points in mind to protect your hair from Holi colours. 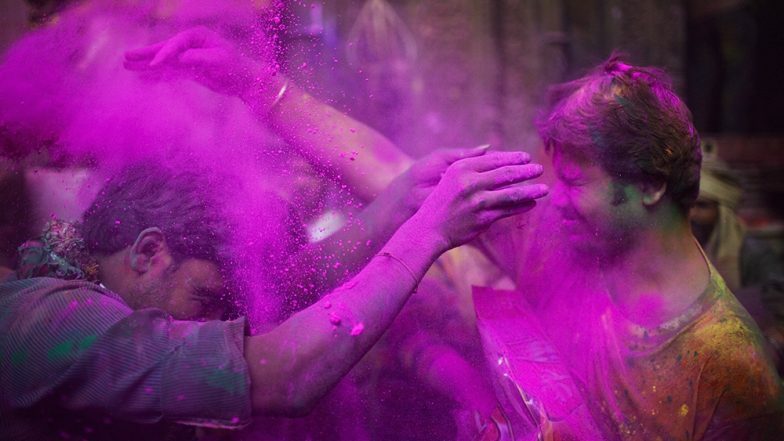 Holi 2019: How to Protect Your Skin from Gulal and Harmful Holi Colours. Your hair and skin can get prone to damage if exposed to the harmful chemical dyes and colours, which contain metal oxides. 1. Oil Your Scalp: Apply oil on your scalp just 15 mins before playing Holi. If you don't have a dandruff problem, it is recommended you use mustard oil to protect your hair from Holi colour. Coconut oil/Amla Oil or olive oil can be used by people who have an itchy scalp. The oil will act as a barrier between the colour and your hair. 2. Apply Lemon Juice: Squeeze the juice of four lemons and apply it on your scalp just before stepping out for Holi. It aids in the removal of colour from your scalp when you wash it later. 3. Tie Your Hair: Tie your hair up in a pony or a bun to minimise your exposure to the colours. If you have short hair, wear a bandana. It will prevent the colours from coming in contact with the hair. 4. Wash Hair with Cold Water: After playing Holi, wash your hair with cold water. Always use a mild shampoo or a baby shampoo to wash off the colour from your hair. Harsh shampoo and hot water should be avoided as it will make the scalp dry and rough. 5. Apply Serum: After Holi, make it a habit to apply serum on your hair for a few days to keep your scalp fresh. Also, ensure that you use a conditioner on the day of Holi and on the next day while washing your hair. 6. Plan a Salon Visit: Visit a salon post-Holi to trim your hair; this will remove the dead ends and the damaged bits. If you think of colouring your hair, you should postpone it to at least two weeks after Holi. It is essential to protect your hair from gulal as these colours can cause a condition known as, 'Acute Irritant contact dermatitis'. This situation can lead to redness and rashes with intense burning and itching in the scalp. All said and done, you should not let the fear of colours prevent you from having fun this Holi. Just follow the precautionary measures before celebrating the festival with your family and friends.